Grand plans were cut short when the University's Edwin Cuthbert Hall Professor of Middle Eastern Archaeology, Professor Dan Potts arrived in Baghdad on 16 May to help with the painful process of cataloguing the losses of the looted Iraq Museum (IM). "I'd hoped to spend about ten days in Baghdad," Professor Potts told a sell-out public lecture earlier this month in General Lecture Theatre 1, attended by 260 people. Right: Still missing, the "Lady of Warka" or "Lady of Uruk", one of the most famous pieces of Sumerian sculpture, dating to c. 3200 BC, stolen from the public galleries of the Iraq Museum. "I only stayed two days. The reality was that the museum was a bit like an emergency ward. Everybody was traumatised. The place had not been cleaned up much. Employees reporting back to work didn't even have a chair to sit on. No-one could concentrate on work." In his most detailed public talk since his return from Iraq in mid-May, Professor Potts described the plundering of the IM, which is considered the major repository for the remains from Mesopotamian civilisation and is the second oldest museum in the region after the Imperial Ottoman Museum in Istanbul. Professor Potts's lecture  organised by the University's Near Eastern Archaeology Foundation and the Friends of the Nicholson Museum  began with a sketch of the ordeal of museum staff, who were ordered to guard the IM with guns when war broke out on 20 March. On 8 April, staff abandoned the museum as American forces closed in on Baghdad. By 10 April, a museum employee notified the British Museum by satellite phone that the IM had been looted. More than 8,300 precious items were removed from the IM before the Americans invaded. However many others were left, including the famed "Lady of Uruk" (c.3200 B.C. ), a limestone sculpture found in southern Iraq in the 1930s. Right: Returned in a wheelbarrow during an amnesty in July, the "Warka vase" is thought to show a cult scene involving the chief goddess of the city, Inanna. 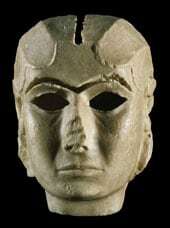 The Lady of Uruk was stolen and is still missing  part of a total of 13,515 artefacts and objects taken during widespread looting in the IM just after the war. Professor Potts said another disturbing loss from the IM was 4795 cylinder seals estimated to be worth up to US$200 million dollars on the international art market. Professor Potts, Australia's premier authority on the archaeology of Iraq, described how he was inundated with calls after suggesting to the Department of Foreign Affairs and Trade (DFAT) that the Australian Government might like to help the IM. The Council for Australian-Arab Relations, established by DFAT, purchased a laptop computer, digital camera and scanner to help IM staff begin computerising the museum's register, which was partially destroyed in the looting. "That computer, scanner and camera was the first material support the museum had received since the looting," said Professor Potts, who hand-delivered the gifts to the IM on May 17. "It was presented as a gift from the Australian people. In monetary terms it was extremely modest, but it had a huge impact." Professor Potts said the situation in Iraq was too unstable for archaeologists to begin working in the country. He expressed great sadness at confirmed reports that gangs of up to 300 armed looters were digging in key archaeological sites, including Adab, Umma and Isin, which have received no protection from American troops. "It's tragic that looting was done by Iraqis," Professor Potts said. "But the entire war has been a huge tragedy in many respects." A senior staff member of the IM, Dr Donny George Youkhana, is scheduled to travel to Sydney in October as a guest of the Australian Assyrian community. He is expected to speak at the University on 23 October, with the time and location to be advised.